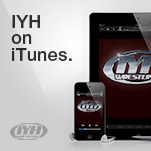 The 4th inductee into the IYH Fan Hall of Fame 2011 is Travis in Denver. Travis is a long time fan of IYH, who was brought to the Headyverse by fellow Hall of Famer Jason X. Travis has helped keep the Headyverse expanding by bringing in his wife Crystal and teaching their children to be proud members of the Heady Youth. Travis is a regular caller, and even puts up with Jack hitting on his wife weekly on the show. 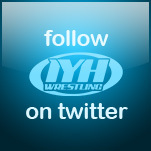 Travis has won many prizes in IYH history, and has even helped keep the site alive by purchasing merchandise from Neal's Sportswear. Travis really showed his personality during the recent videos in the Buckhouse Stampede & Crockett Cup tournament. 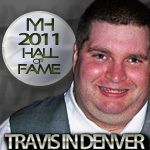 We are proud to welcome Travis in Denver into the IYH Fan Hall of Fame Class of 2011. Learn about the causes, symptoms, diagnosis, and treatments for UTI.The Promise of Health for Your New BabyHealth in the new millennium promises a future that is looking longer and healthier: Gene therapy to grow new hearts, new bones, and increase memory are just a few of the ways we will live healthier, longer.New Treatment Guidelines for Pregnant Women with AsthmaThe National Asthma Education and Prevention Program(NAEPP) is issuing the first new guidelines in more than adecade for managing asthma during pregnancyAlso under suspicion is bisphenol A, which is found in most daily items including tin cans and sunglasses. While earlier, these used to be sourced primarily through the diet, now they are being supplemented through pills. For health reasons the Leaper was removed. Among the elderly, persistent pain is frequently associated with musculoskeletal disorders, such as a degenerative spine condition and osteoarthritis. You need to hold on, ride out the bad days, and know that the day will come when you'll be feeling "normal" again.